I love finding crafts that work not only for adults but also for children as well. 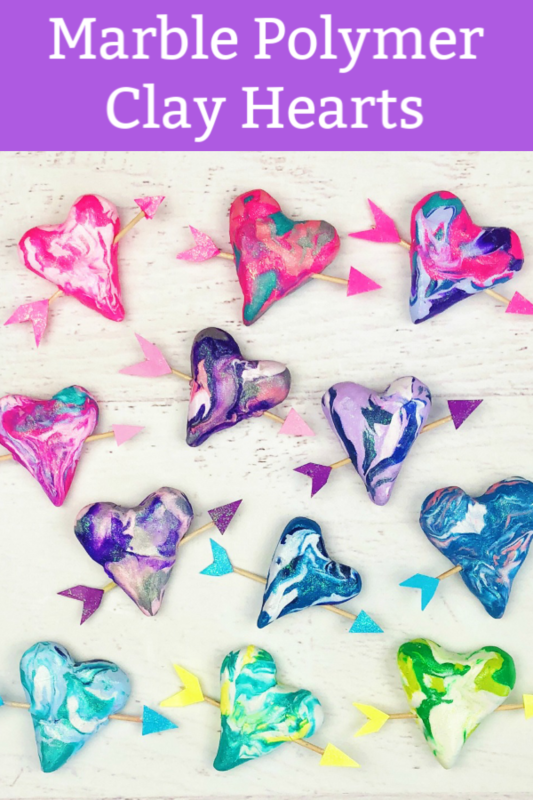 These polymer clay hearts are a great Valentine’s craft that is wonderful for all ages. 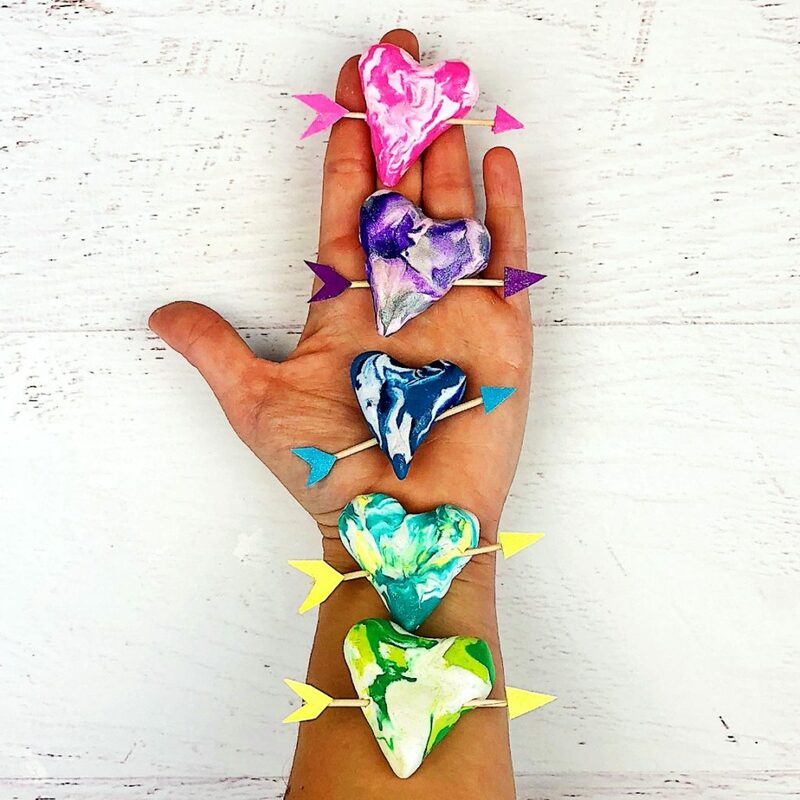 I came up with the idea after seeing these beautiful doodle polymer clay hearts made by one of my favorite artists Alisa Burke. 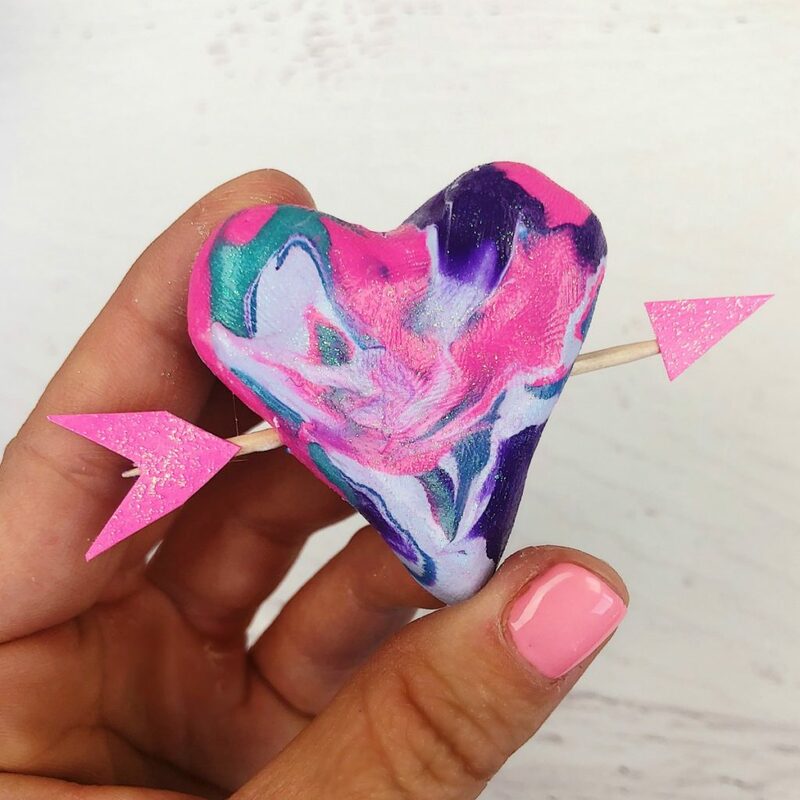 I loved the idea of adding an arrow to the hearts, but wanted to make the hearts look marbled. I’ve been obsessed with making everything marbled after using nail polish to marble ring dishes and pumpkins. 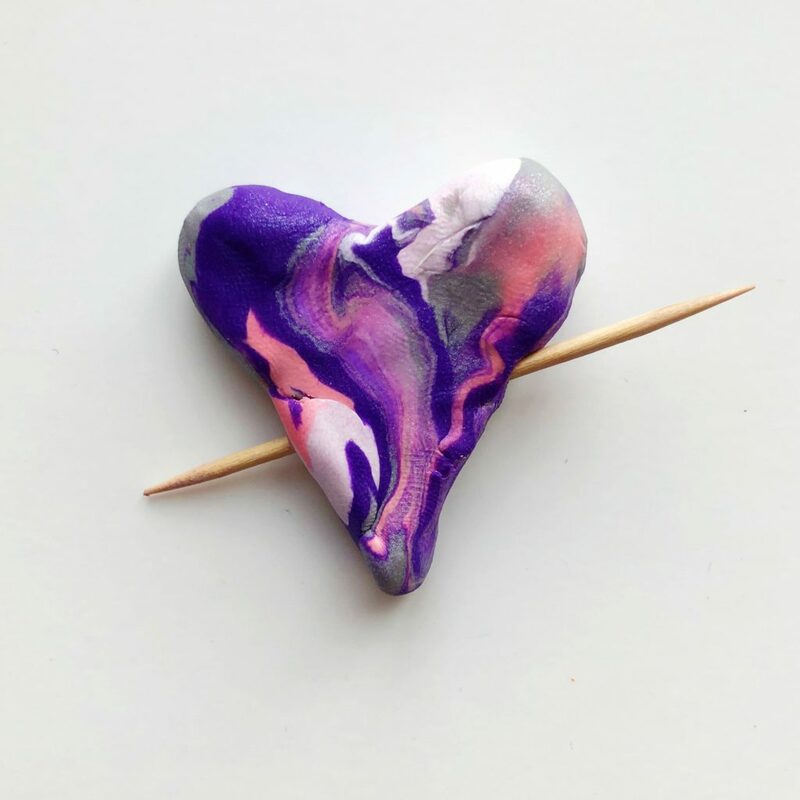 Polymer clay is a great and easy way to achieve a marbled look with just a few simple steps. Polymer clay – I used Sculpey clay. Roll each color out about 5-6 inches long. You can make them longer or shorter depending on how big you want your hearts to be. Twist each color together. Fold and then twist again. Form a ball with the clay. Flatten the clay slightly. Don’t let it get too thin. Shape the clay into a heart with your fingers. Don’t worry about making the hearts a perfect shape. It’s nice to have a bit of variety in shape and size. Insert a toothpick through the clay. Bake the clay according to the directions on the package. 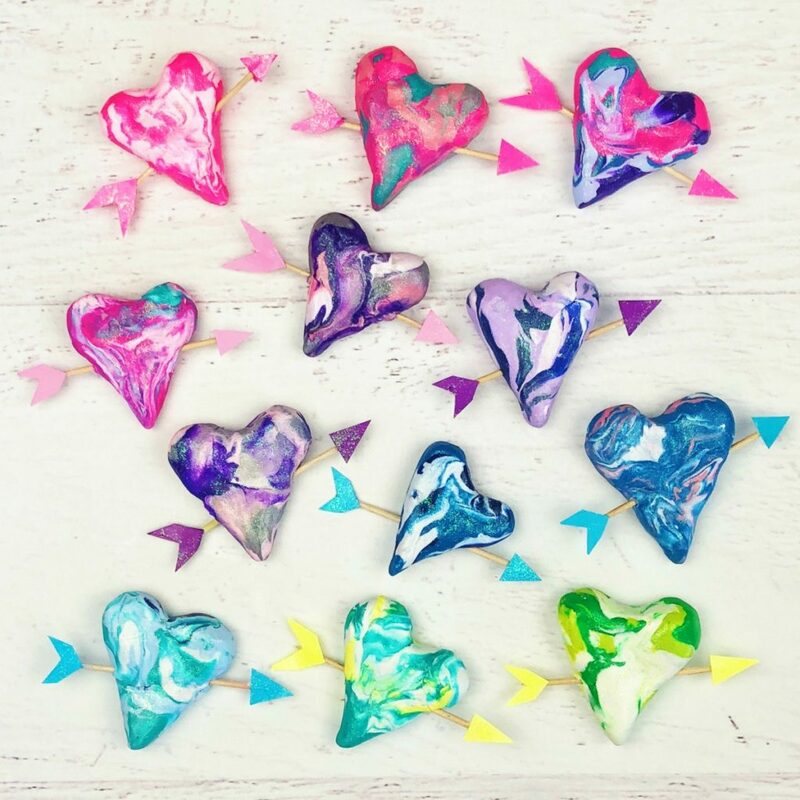 Once the polymer clay hearts have cooled completely, you can add sparkle or any other embellishments. I loved glitter effect created when I painted on this extreme glitter hologram paint. For the arrow details, I used bright colored card stock. I simply cut the shape I wanted and glued it to the toothpick using E6000 glue. 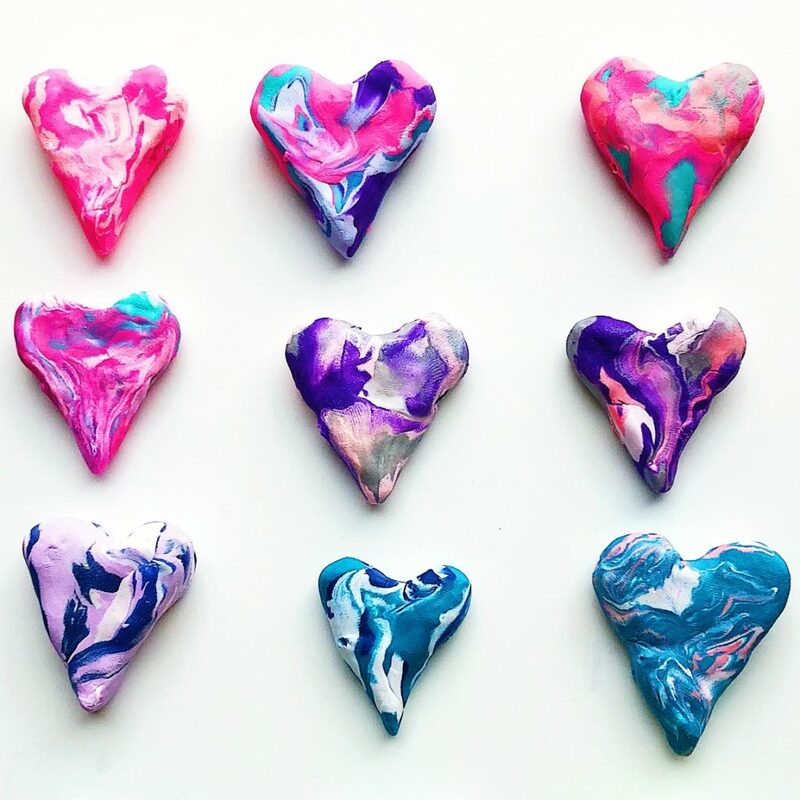 Are you feeling inspired to start marbling with polymer clay? 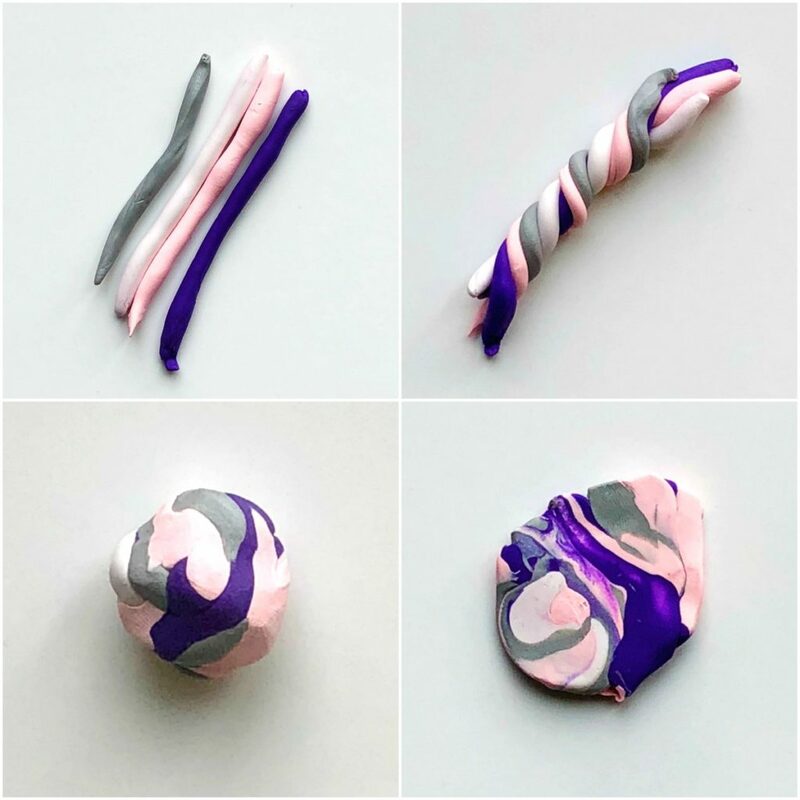 You can even use this same technique to create other polymer clay crafts, including polymer clay marbled coasters. 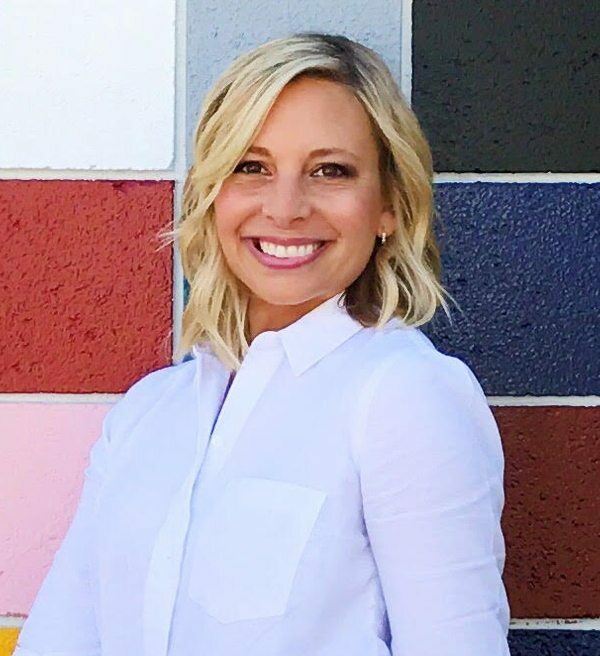 I’d love to see what you come up with. Come share your creations with me on Instagram or Facebook.